Essex Property Trust remains active in Los Angeles, with several recent trades and residential construction projects downtown. The latest is a 200-unit apartment complex going up in Hollywood. 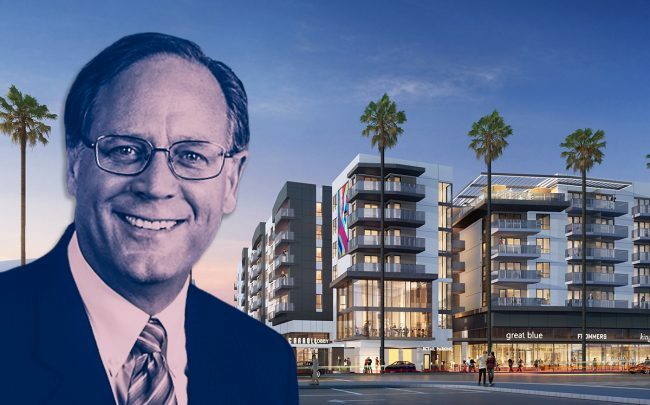 The real estate investment trust has put down the seven-story complex’s multi-level concrete base and is now building up, according to Urbanize. The $54 million project at 6240 Sunset Boulevard will replace an existing parking lot. When completed, the Essex Hollywood will include 4,700 square feet of ground floor retail space, a gym, swimming pool, and a roofdeck. Essex broke ground in fall 2017. The site is not far from the Jefferson at Hollywood, a 270-unit apartment and retail complex that Essex sold for $132.5 million in early 2017. Based out of San Mateo and active across California, Essex continues to make Los Angeles and the San Francisco Bay Area its two largest markets. In January, it sold its 290-unit 8th and Hope apartment complex in Downtown for $220 million. The $758,600-per-unit sale ranks among the priciest sales in Downtown L.A. by that metric. The buyer was local real estate develop Bin Feng Cheng.